SpaceX’s Falcon 9 rocket has conducted her Static Fire test on Monday, a dress rehearsal milestone ahead of Wednesday’s launch of the SES-9 satellite. The test took place at SLC-40, at the same time as work begins at LC-39A to remove the Shuttle-era Rotating Service Structure (RSS) from the site of future SpaceX launches. The Static Fire test validates the health of the launch vehicle, allowing for SpaceX management to approve the final flow to launch day. It also serves as a full dress rehearsal for the launch team and provides another test of SpaceX’s recent upgrade to a supercooled propellant pad systems that resulted in a number of challenges ahead of its debut use during the OG-2 launch. The Falcon 9 was erected vertical at the pad around 1pm Eastern, ahead of the Static Fire test around 5:50pm Eastern. Once the required engine and vehicle data has been collected detanking operations will follow, before the rocket is lowered onto the Transporter Erector (TE) and rolled back to the hanger. The Static Fire’s data review will be fed into the Launch Readiness Review (LRR) – a key meeting that will ultimately confirm the launch date. The first attempt is currently scheduled for Wednesday, within a window that ranges from 18:46 to 20:23 Eastern. 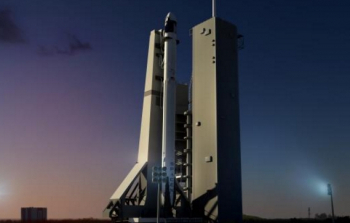 A second opportunity is available on Thursday, within the same launch window. The mission is tasked with lofting the SES-9 spacecraft en route to its orbital slot of 108.2° E. This satellite has been patiently waiting its turn for a ride into space after it was initially set to ride as the Return To Flight mission last year. 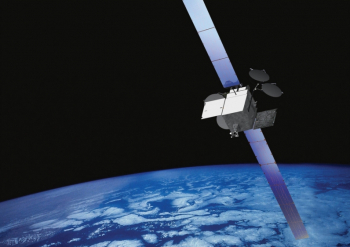 The satellite will provide incremental – as well as replacement capacity – to the well-established slot over Asia, where it will be co-located with the existing satellites. Built by Boeing, the spacecraft is based on the BSS-702HP bus and has a launch mass of 5,330 kg. With 81 (36 MHz equivalent) Ku-band transponders, the satellite will expand SES’s capability to provide DTH broadcasting and other communications services in Northeast Asia, South Asia & Indonesia, as well as maritime communications for vessels in the Indian Ocean. It is set for a service life of 15 years. 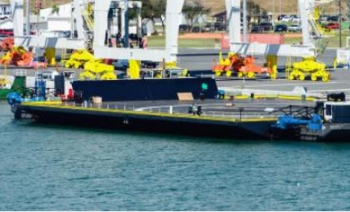 Despite this mission being a demanding Geostationary Transfer Orbit (GTO) launch, SpaceX still hopes to return the first stage back to the recently deployed Autonomous Spaceport Drone Ship (ASDS) landing barge, named “Of Course I Still Love You”. Nailing a landing on the ASDS in the Atlantic is technically more of a challenge than returning to Landing Zone 1 (LZ-1) at Cape Canaveral. The successful landing of the OG-2 first stage at LZ-1 was the first successful recovery of a flown Falcon 9 stage, which was followed up with a successful two second static fire test at SLC-40. The stage is currently housed at the new HIF at 39A, albeit now with its aft end somewhat dismantled for inspections along with – according to sources – some “potential” harvesting for future vehicles – which would play into the goal of initial reusability of flown hardware. The stage itself will not fly again, per comments previously made by SpaceX CEO Elon Musk. The first “reflight” of a recovered stage may come late this year, based on upcoming recoveries. 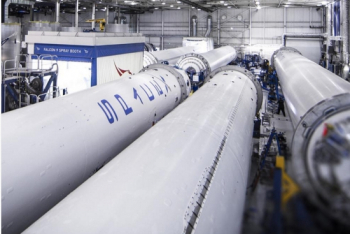 Numerous brand new Falcon 9’s are currently in various stages of production on the Hawthorne factory floor, as recently shown in a SpaceX photo. The company did not reveal which stages relate to which specific future missions – although the upcoming CRS-8 first stage was still at the McGregor test site, several days after a test incident resulted in damage to the hardware. It is likely all the stages in the photo are destined to be part of Falcon 9’s busy 2016 Q2/Q3 schedule, while the debut of the Falcon Heavy – and its three cores – is, at least, half a year away. 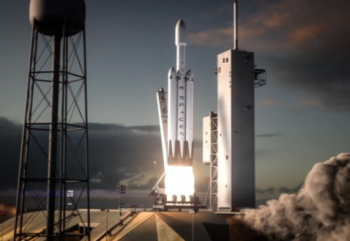 Falcon Heavy will be the first rocket to launch from SpaceX’s 39A pad at the Kennedy Space Center, a pad that has been converted from its Shuttle era to being able to launch both the Falcon Heavy and Falcon 9. One of the final phases of its conversion is about to begin, with a huge crane now on site at the pad, ready to remove the Rotating Service Structure (RSS). The RSS was used to install payloads into the Shuttle’s payload bay, whilst providing protection to the orbiter during her pad stay. Once the RSS is removed, the remaining Fixed Service Structure (FSS) will undergo some structural reinforcements, according to SpaceX. The FSS – just as it did during the Shuttle and Apollo era – will be the final leg for astronauts ready to ingress the spacecraft ahead of launch. This time, the astronauts will be boarding the Dragon 2 spacecraft, sometime in 2017. The mission, called “SpX-DM2” – will be the second flight of the Dragon 2 spacecraft to the International Space Station, following on from the December 2016 “SpX-DM1” flight, which is set to be an uncrewed demonstration mission.